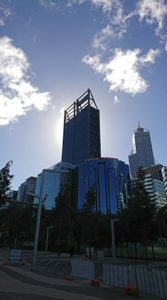 Perth SEO services from R1SEO. Promoting Your Site Through Unique Marketing Strategies, Utilizing Cutting Edge Ethical Online Marketing Methods To Engage Search Users In Perth And Your Target Area. And Bring You The Traffic That Will Grow Your Business. 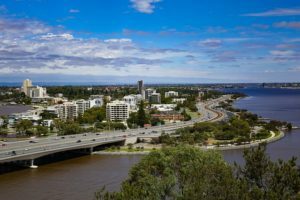 Perth SEO services are critical to ensuring your content and your business are more than just known in the local Perth area. Or wherever you wish to engage people. When you want to rank for competitive search terms. The ones your competitors have been soaking up through their SEO. You have to employ marketing strategies that will have you ripping past everyone else. Bringing you traffic that will engage with what you have to offer. And what R1SEO consultants do for SEO and online marketing clients, is about so much more than just rankings. Yes, we will dial in your SEO through on-page optimisation in a fantastic way. We will also optimise to engage and convert, better than any other SEO company can, too. So if you are bored of being short on traffic. We can help you in a serious way. And with the measurable results you gain, in terms of SEO and other business factors. You will be wishing you had come to us years ago. That is how much we can help through SEO, and will, increasing your traffic and flow of customers. And how much you will love the fantastic SEO and online marketing services we have for you. These are just some of the SEO things R1SEO does to make a huge difference to your competitive edge online. By building your SEO campaign with these services from the start, our SEO services are able to have you rise with greater ease than is typically possible for most agencies. These SEO factors, in the cutting edge way that R1SEO provides them. Give you the opportunity for promoting your business in Perth, on a level that not only has your site rank well. It also has great levels of quality traffic that converts, flowing to you. SEO copywriting is of huge importance to your online visibility and ease of ranking. When SEO copywriting is done well, and this means working through the 560+ on-page SEO factors. The SEO foundations you have make everything else flow so much more easily. This is also something that is hugely overlooked by local businesses. So the websites of many of your competitors will be deficient in terms of their content. They might have links, but the on-page value of their SEO is low. And many of them will likely be using SEO Perth services to improve their rankings. So whilst there is likely solid competition, hence the reason you are seeking internet marketing help. There is also a massive opportunity open to you. Our SEO services build in SEO copywriting as a core element. So right from the off your Perth SEO campaign puts you at huge competitive advantage. The copywriting work done at R1SEO does more than just engineer huge competitive advantage in search. SEO Brings Traffic, But How Would You Like Your Offers To Be So Compelling That Visitors Were Unable To Say No? We weave in psychology to boost your conversions too. You are engaging in SEO services as a way of promoting your business. Because you wish to grow. Using SEO to get more clients and customers. To increase your revenue. So while getting more traffic to your site is an excellent move. Ensuring your site converts better brings you even greater advantage. By doubling your conversion rate and your traffic, you get a four fold increase in business. And we can do so much more for you than that. We regularly grow pages and websites to ten fold their previous levels of traffic through SEO. And with the way that we work the linguistics on-page, businesses then leverage that for even stronger business growth. Hence the reason that R1SEO offers an almost unfair competitive advantage with SEO and copywriting. And why our copywriting services are used worldwide. And they are available to your business as an included, core practice, of our Perth SEO service. The work our copywriters do, and the way they weave in the on-page SEO, is proven to widely increase the footprint of content and websites in a very dramatic manner. By developing your content, and its SEO foundations, in the way we do. We increase the number of queries and impressions in a huge way. We are able to do this within the Perth area, internationally, or within whatever local area you wish to enhance your business. The marketing strategies we run for you as our client do much more than just bring a single page 1 ranking. With copywriting and on-page SEO as a foundation we bring you a flood of rankings and traffic. That is why people seek us out internationally for SEO help. And you can get all that SEO help focused on growth in Perth for your business. We can open doors through our ethical outreach program, doors which are usually firmly shut to most. R1SEO has access through carefully cultivated relationships, to some of the most powerful websites in the world. And within the SEO Perth service, we are able to help local Perth businesses to gain greater recognition. By implementing an ethical outreach SEO campaign, your business can be found in far more places. The good things you do being referenced and showcased, on websites that give optimised power to your site. Doing this alone is nigh on impossible. The relationships that are required take time and energy to develop. When you take advantage of this, you are empowering your business in a major way. This is SEO and marketing that your competitors will be unable to surpass. SEO, Marketing and brand development are governed by presence. The stronger the marketing agency, the greater the effect of the marketing campaign. Budgets are of course important. A strong online marketing campaign depends on presence. Would you recommend your friends and clients to use the help of others when promoting themselves? Would you recommend that using the potential available through other people to ensure success would be good? It is only natural to. Whether you are based in Perth or elsewhere in Australia, or overseas even. 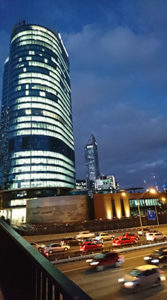 Using the connections available to you, networking to forge greater business satisfaction and success, is what top business people do. When you work with R1SEO, that is what you are doing. Expanding your network and reach in a fantastic way. Through our ethical SEO outreach program you become able to leverage our relationships, so that you can get mentions and have your business referenced on very authoritative websites. In a way that puts your business in a wonderful light. This is something very few Perth businesses get the chance to do. And sets our Perth SEO service even further out from the competition. Your business, along with all businesses, relies on reputation for ongoing success. It is a pure fact of the business world. It also applies to online reputation. Those who have the strongest reputation online, across the internet as a whole, gain the best positions in search engines. The way search algorithms are built is all based on that thought. Google and other search engines will only rank you if they feel you have value for their users. So to get in the top results of search, they have to believe you are the best at what you do. A point that many SEO agencies miss. There is a wide array of SEO factors and rankings attributes that come into effect here. Search engines build a picture on how reliable you are, and the quality of your products and business based on thousands of different things. A huge amount to attempt to influence. Right? It can all be boiled down to a couple of high level factors key to SEO. In that SEO copywriting is one of our core services, on an international level as well as within Perth and Australia. We are already set to do amazing things for the online perception of your authority via your website. With the ever evolving state of search, your website needs to have the best content possible. Every Google update alters the balance, and the value of on-page SEO is becoming ever more critical, in Perth and everywhere else too. As mentioned earlier, your content is the foundation of your SEO and thus rankings. Without high quality content, regardless of how many quality links you gain, the effects will be restricted. By getting truly fantastic content, using the best SEO, you become able to sail up through search rankings with much greater ease. 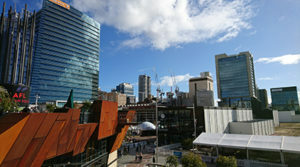 Thus getting the effects you want in Perth and beyond. But rankings are nothing on their own. Unless your content, especially on your major web-pages, is fantastic from the perception of the user. You are going to have issues. Does your site have to be visually stunning? No. Does your site have to yield a user experience that people love? Yes. Is part of that demonstrating that you are the one who can best serve that user? Absolutely. So everything about the journey your users and site visitors take on your site. Has to be tapping every potential for demonstrating your value. And swaying your visitors into becoming customers through building the most fantastic perception of you and your business possible. Our expert copywriters are seriously well versed in tapping potential. As part of what we do we edify you in an incredible way. And build an experience on your site that channels people into that realisation, that you are the clear choice for them. As such establishing a natural baseline that you are the authority, and the one to go to. This is powerful when blended with SEO. We work to ensure your pages are fulfilling the right search intent to help you achieve this. Thus building a user experience with conversion optimisation, which sends major signals to Google that you should seriously rank well. This is a SEO service like no other. That you can leverage here in Perth. So, just imagine how we can help you engage with more potential customers. A major ranking factor within Google now is brand recognition. If your company or brand has little visibility, then your site with have limited opportunity for ranking, queries, impressions and thus traffic. To rank well, your branding has to be spread wide. This is core to SEO now. There are a huge number of ways to do this through SEO. And a stack of them will cause penalties and all manner of issues. So, your branding has to be developed in very careful ways. That ensure your site, and by extension your business, stays healthy. This is the same for site owners the world over. 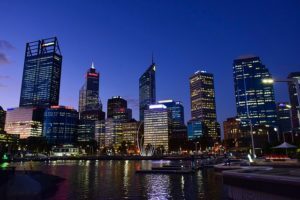 And in Perth you can leverage this SEO opportunity to cruise ahead of your competition, with relative ease. The wider your branding goes, the greater the perception of your authority. It is something which often alludes local businesses. Be they in Perth or pretty much any other city around the world. And yet it is something that when you know how to do it safely, can flow relatively easily. This is where SEO services start transitioning into wider marketing and PR roles. And there are two things which differentiate SEO companies when it comes to this critical SEO work. You absolutely have to know how to extend brand reach, in a way that is seen by Google as being natural and positive. This takes real SEO expertise. Plus again we are talking about relationships. Because when you venture into the territory of PR, you are dealing with relationships. So this really is a much more solid form of marketing, than any other standard SEO Perth service. All owners of businesses and websites all want this level of competitive advantage with SEO. Being able to generate a brand that is not only ultra successful, but also nigh on untouchable. All business owners crave that. And many pay large sums for SEO to make it happen. It takes work. Serious SEO work. To make it happen. It is rarely overnight, though that depends on a variety of factors. It is very much achievable though. And should you wish it, we can with relative ease, help you transition from just serving Perth, to the whole of Australia. We can even help you with international growth if you like. Sound good? Get in touch today and let us help you. Social interaction is widely understood to be valuable by businesses. For local businesses the challenge is often understanding what is the right content to share. For both SEO and marketing. And then finding it too. Something which can soak up valuable hours of productivity. So little ends up being done. Or content which fails to compel is shared and little response is received. Naturally, the chances of everything going viral are slim. But then what you want is engagement with the people likely to be your customers. And engagement which turns people into repeat customers. Search engines crawl through everything online. And the rate they do so is fantastic. As is the frequency. Depending on the site in question. For many small local businesses search engines may crawl their site once every few days. Just to check out any changes or updates. For bigger sites, crawling is far more frequent. Sites like Facebook, Twitter and Instagram get crawled every couple of minutes. Sometimes faster. Activity on social media is a way of demonstrating to Google and other search engines that you have a serious, quality, reliable business. Because they see your content and your brand interacting with people in locations beyond your own website, they place greater trust in you. 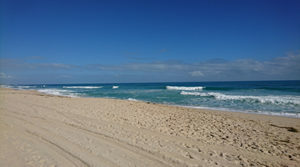 Quality SEO value can be had here in Perth! Plus when you share updates on social media, when you do new things, add web-pages to your site, new products and offers too for example. Your site gets crawled faster too. Plus the buzz developed socially, and the resulting traffic, gives you a nice push in search results. Traffic has SEO value, in Perth and everywhere else too. When Google sees people going to your site, and the signals generated translate into the right metrics. It then gains a better perception of your site. And believes that better rankings should just naturally be yours. This is a point of contrast for R1SEO. Our focus on getting you the online visibility you desire, is in working with Google and the factors that work well within its Search Console Guidelines. Link building is a fast way to trash websites. And SEO methods that work holistically to generate love from users and search engines, help you to achieve business goals in a sustainable, long term, way. Another massive reason to use social media as an integrated part of your SEO campaign, is the benefit it has in terms of attracting natural, quality links. When you are sharing the right kind of content, which people love. Which gives them benefit. They naturally flow to your website, they also like and share the social posts, which gets wider reach and interaction for you too. All of which is great. Largely because it can bring you more business through increased customer numbers. There is an additional dimension to this though. And it is the dimension that causes Google, and other search engines to build their algorithms in the way they did. It is also the reason that links are still a major ranking factor. When people love what you are doing, they link to you. And search engines love natural links. They are SEO gold! You can capitalise on this in a major way. When local bloggers and site owners find affinity for what you are doing, they will share it with their users. Because they want to do good things for their users, keeping them happy by providing them with value. Which benefits their own SEO too. This is a relatively easy way for you to gain natural links with high relevancy. With local businesses and bloggers around Perth, and Australia too, creating natural links to you that boosts your website’s SEO in a beautiful way. And much of that can be driven through social media. How often do you check Facebook, Twitter, Instagram, LinkedIn or other social media? How often do you see things posted relevant to yourself, that you find interesting? Or that could be valuable to you or people you know? Professional SEO goes so far beyond just link building. Quality SEO Services roll through a variety of marketing forms within each SEO campaign they perform. And the use of social media for SEO provides and excellent means of promoting your brand, bringing in additional traffic. And helping your website to achieve your objectives within search results. Even for businesses based in the local Perth area, there are big opportunities to be gained from social media. But your SEO Perth campaign has to utilise social media very specific ways. Otherwise the efforts are for nothing. Tap it just right, and you grow your user base, attract quality links naturally, and empower the SEO of your website in a major way. 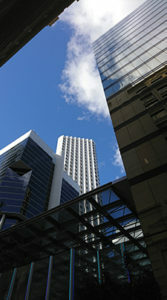 Having read through the core SEO we do for clients, in Perth and other places. And how we build our online marketing to power your website up through the ranks. Plus, how each of these SEO elements hits across multiple factors. And how everything combines through the SEO we do to give you an unfair competitive advantage. You should already understand what is open to you in terms of SEO opportunities. And what will be done through leveraging copywriting and SEO to grow your business. Yet we have only scratched the surface of that SEO and growth potential. This page only serves as an introduction to what is possible with SEO from R1SEO in Perth. After all, would you give away all your competitive secrets? Not a chance! You share enough to ensure that your clients know what they need to, and hold enough back to ensure that you are the leader in what you do. Formula 1 teams never show their full engineering specifications to the public, or other teams. Serious yachtsmen who race in events like the Americas Cup, never give away their strategies or let people know things like keel design. Movie makers hide many of their effects so that they can continue to wow audiences with fantastic scenes that are ultra realistic, time and time again. So do hold that in mind when talking to us about the SEO, and online marketing, we are going to do to bring you the organic traffic, and more, that you wish to have. Granted we will be sharing a lot of details with you. And we will be sharing details of quality links gained naturally, as well as through outreach SEO. You will see all the content our copywriting team produces for you. We are very transparent with a wide amount of how your SEO campaign is run. The details of how it is all brought together. That is another matter. Trade secrets and all. You will know what has been done. The how is something else, it is ethical though and we do work within Google’s Search Console Guidelines. So we work in a manner that makes your SEO and rankings sustainable. For the long term. We love Perth. And we work to ensure the best SEO results for every business in Perth that we work with. 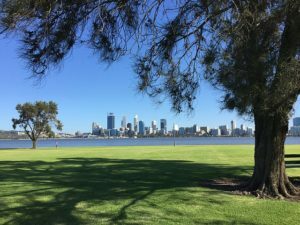 We do this to help Perth grow and thrive. Because we believe it is only right to do so. 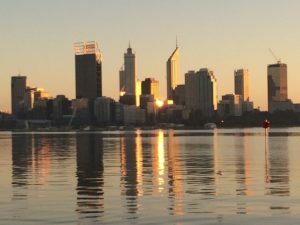 This is why local businesses in Perth come to us come to us for SEO help. It is why our SEO agency is asked to consult on projects for other SEO agencies, worldwide. And why our SEO services draw so many international clients. Because our SEO understanding and implementation is light years ahead of our competitors. Which puts our SEO and online marketing clients, light years ahead of their competitors. We are able to leverage this hugely competitive SEO advantage in promoting your website. 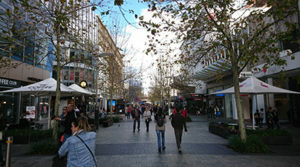 We understand you have likely heard others make such claims about SEO in Perth. And that you may not have had SEO results that lived up to those claims in the past. You perhaps feel it’s not time to commit to SEO until you have found a reliable company. Yet you know that to get the results you desire for your business quality SEO is necessary. And while you might prefer to wait you really know that you had better start getting SEO done soon. Decide to let yourself and your website move forward, choose to permit your business to get the traffic it needs, from good SEO and you will be over joyed that you chose to. When you are ready we will develop a bespoke campaign of Perth SEO to service your website. And deliver the rankings and traffic that will grow your business in a fantastic way. You can get more information on what is needed for SEO on your website in Perth, if you wish. Just use our special website SEO audit tool and get a complimentary SEO report detailing your SEO needs. And provided you wish to move forward with empowering your site. And leveraging our SEO, copywriting and holistic online marketing abilities to blast you past the competitive issues you have faced in the past. Then go through our Discovery Form today and we will be in contact in a timely manner to discuss your opportunities in terms of search marketing. At R1SEO we are committed to empowering Perth businesses online. 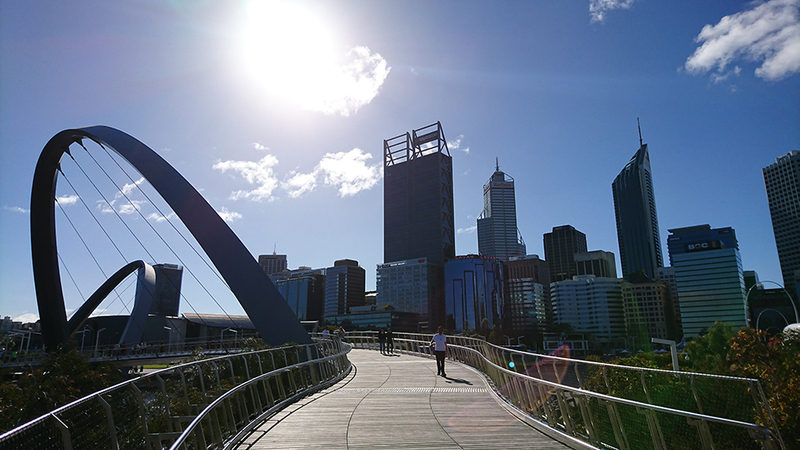 To making Perth, and Australia, a place of greater and greater prosperity. And that can only be done through helping businesses with Perth to achieve better online visibility. Through the best SEO possible. We do this through the copywriting and SEO services that we are so highly skilled with. Weaving a complex structure of factors within the SEO campaign we run for you. Which makes users and visitors engage with you in fantastic ways that grow your business. Through weaving conversion optimisation through your content with advanced copywriting techniques, your profits grow in a beautiful way. And you gain quality links naturally which pushes you ever higher in search results too. You get the best SEO Perth has. Our SEO is beyond any SEO you have experienced before. So get in touch for quality Perth SEO today. Share your SEO and search engine objectives, and we will work out how to help you achieve them in Perth, WA, Australia, and beyond if you wish. Get ranking in Perth, get SEO help from R1SEO.